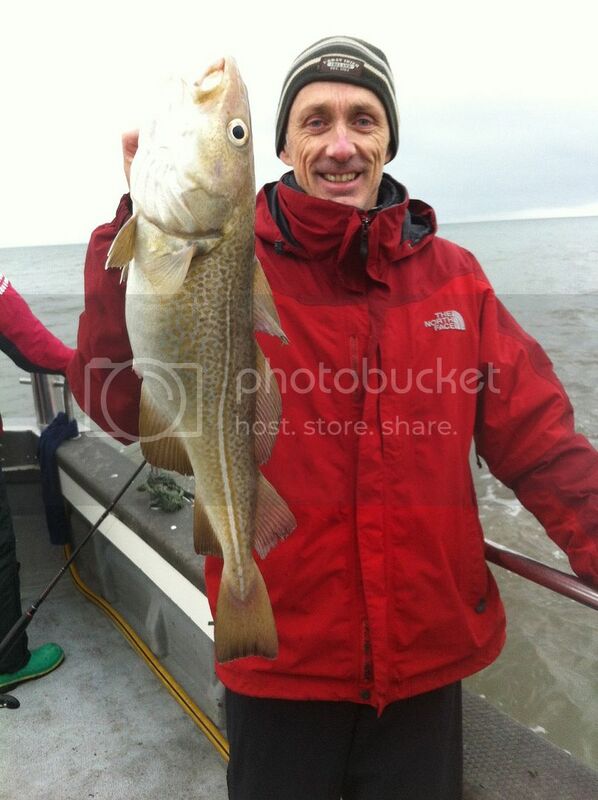 Discussion in 'Sea Fishing Forum - Shore, Boat & Kayak Fishing' started by bigcod, Apr 11, 2016. 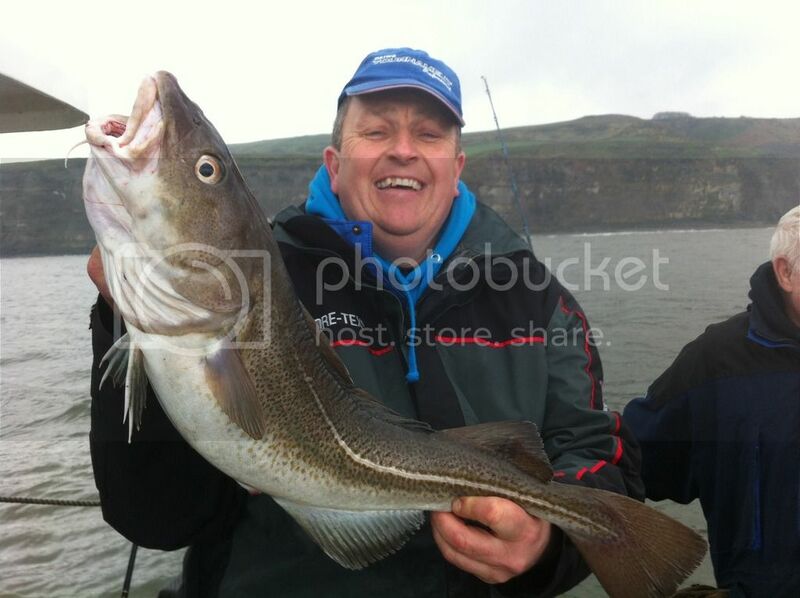 When the tides hit the 6.0 mtr mark and water is green its time to drop the ankhor and thats what i have done in the last 2 days of WCSA spring festival and the lads have got there rewards some very nice fish and most in very good condition fat and very clean fish . 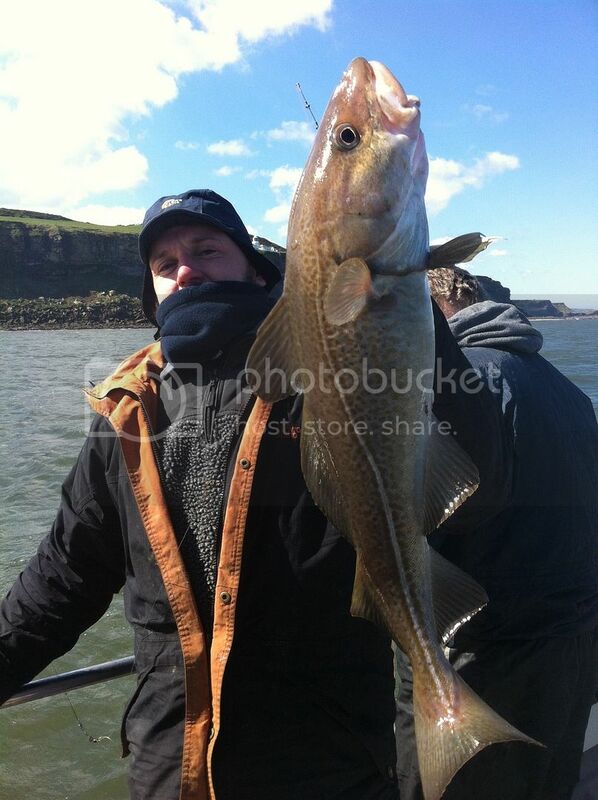 Saturday some of the lads hadnt ever caught a cod and as i said to the lads we have a better chance with the ankhor down today rather than wrecking so armed with black gulley and squid and cart the lads had a lovelly day and to top it mark dobson from won the dailys with a 8lb 12oz cod everybody got amoung the cod happy days for the boys from rotherham. 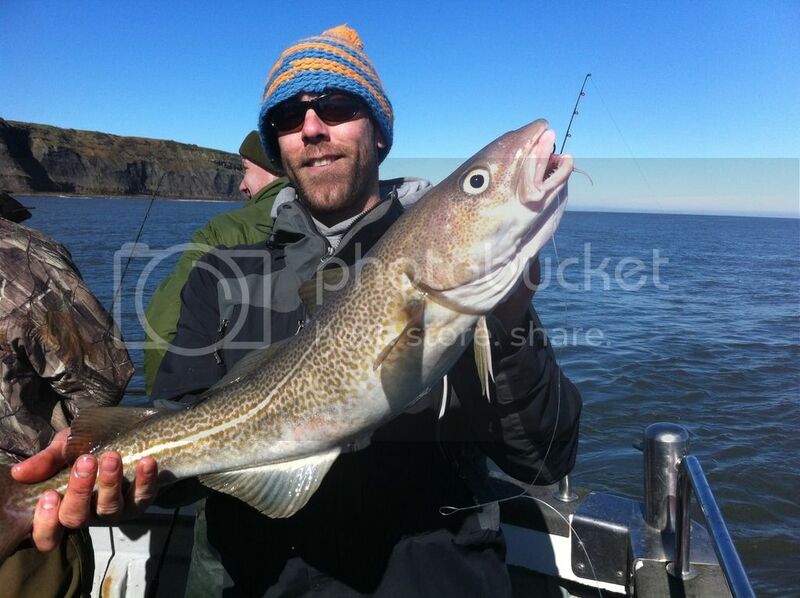 Here is mark with his 8lb 12oz cod it weighed 9 lb when it was first caught winning 1st in the dailys and the £50 prize. 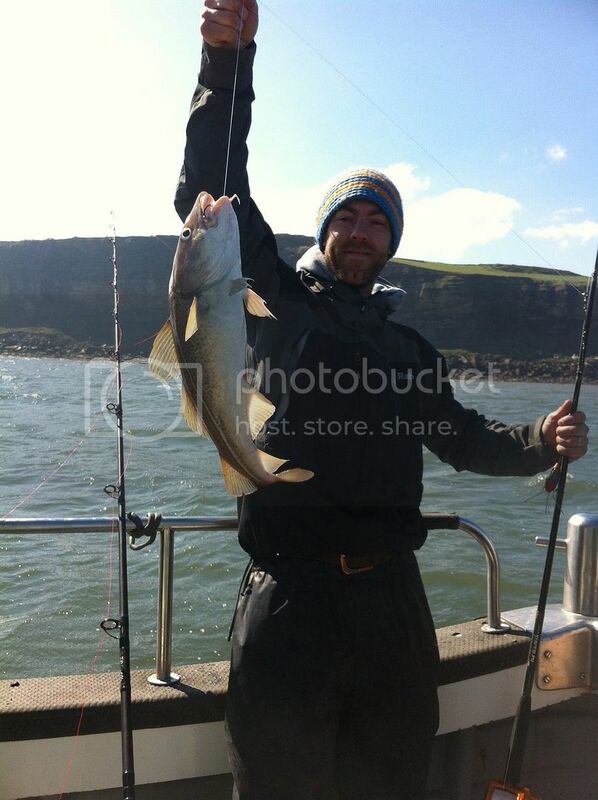 Anther one of the lads with a nice fish never been boat fishing before. 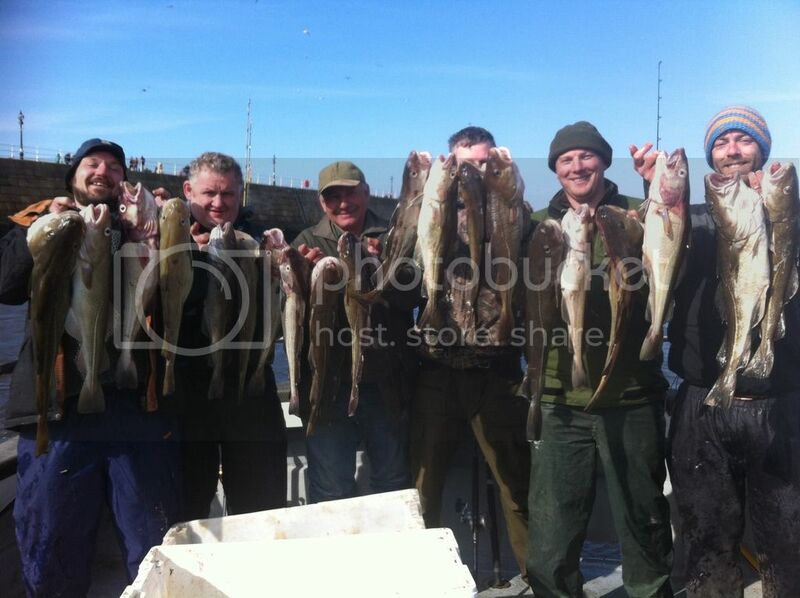 Now sunday lads from Kendal regular boys on Sea- Otter 2 know just what to expect again uptiding looked the best option you never know whats in there we have had cod 28lb uptiding with ling and conger also over 20lb on the uptiding grounds so its all to play for and once again the 6 lads had had a very nice day they massed around 40 cod between them the best over 7lb some really nice clean fish unlucky not to click something bigger but still a very nice day so dont have to go over the horizon to get good fishing here is a few shots of the boys they loved it and got 3rd in the dailys with a 7lber. Thats what i like to see. 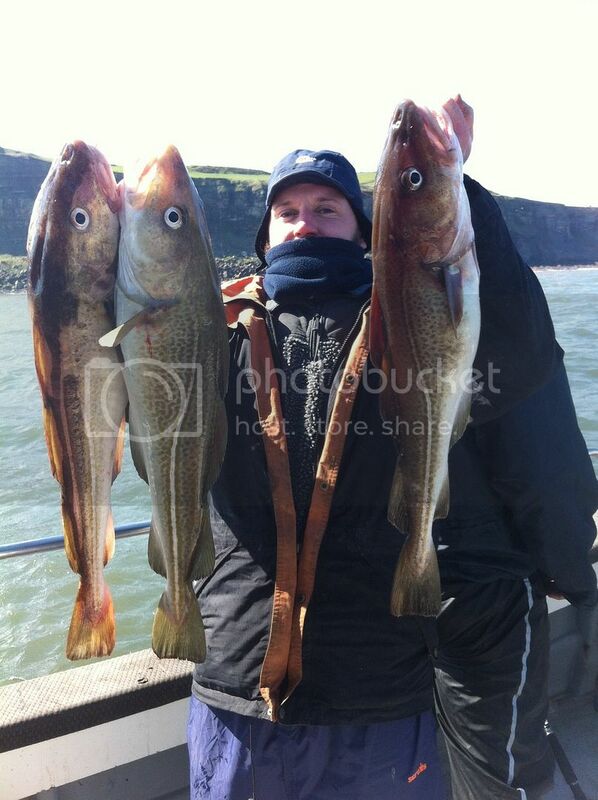 thats why your Whitby's joint number one charter skipper. Well done Paul, looks like I might have to get the kayak ready. 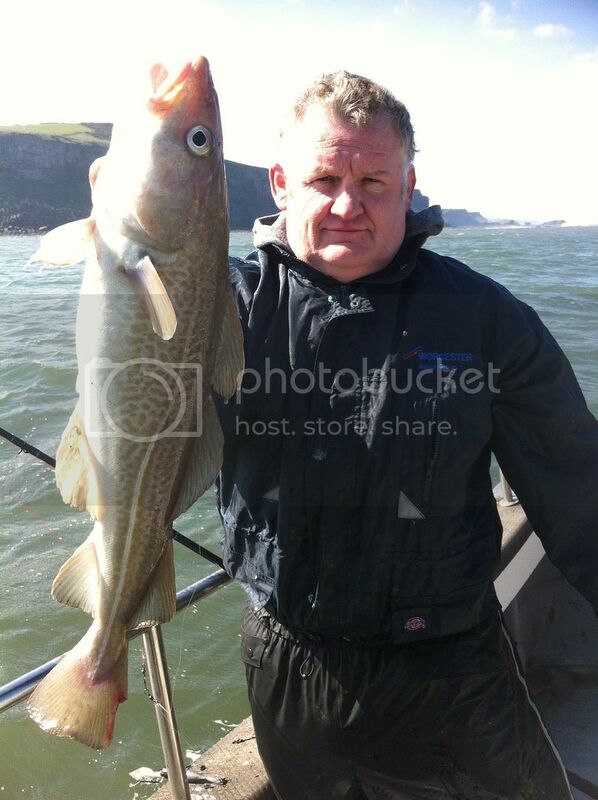 It's amaizing the quality of the cod you are getting Uptiding glen all plump and fat fantastic condition very clean the ones wrecking seem to be thin slinky they will start to fatten now after spawning . 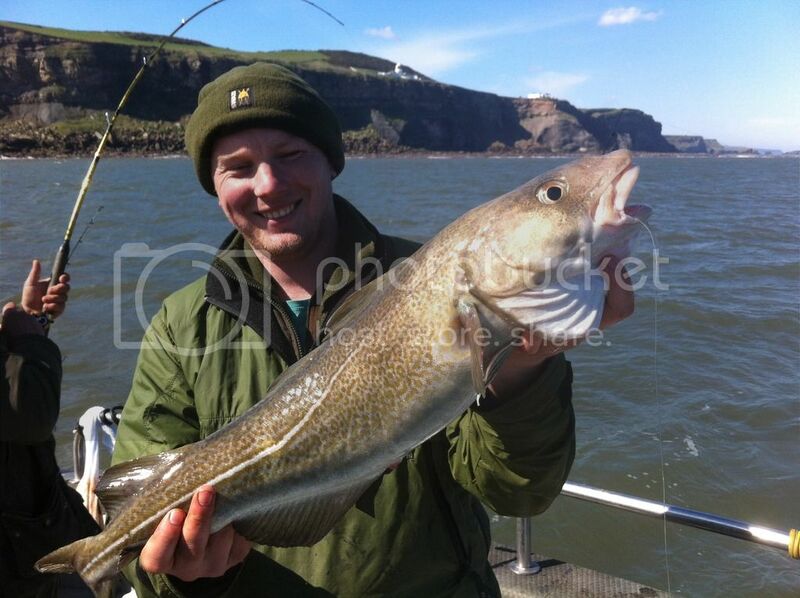 Dont forget all anglers can now get 10% off at Skippers Cafe.